Once you have successfully selected a photo it can be uploaded onto the university server using the upload button. The photo will be checked to see if it meets the system's specified parameters (file type, dimensions, aspect ratio). If these are not met, the upload will be terminated. 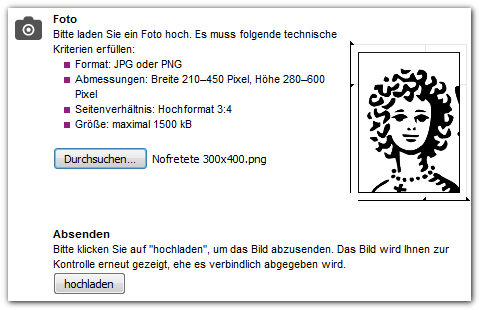 The system will then give an error message with the reason the photo was rejected.